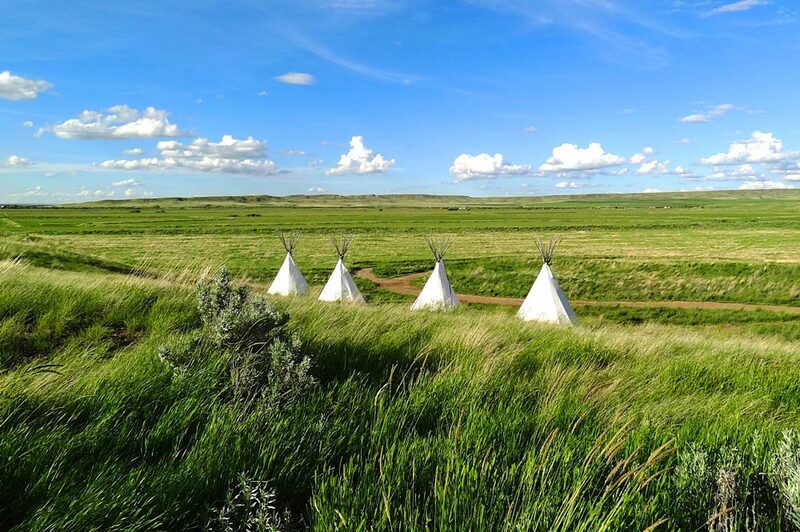 Camping in Grasslands National Park, Saskatchewan. Life as a prairie dog researcher requires days near tiny prairie dog towns and evenings in tiny human towns. The closest village to the park – Val Marie – has one restaurant and researchers seem to recite its opening hours as easily as prairie dog facts. Researchers can also tell you which hills to climb for cell phone service and the best place to look for burrowing owls. I also discovered none of them have split ends (piles of conditioner are left over from hair-dye kits used to mark prairie dogs for visual surveys). 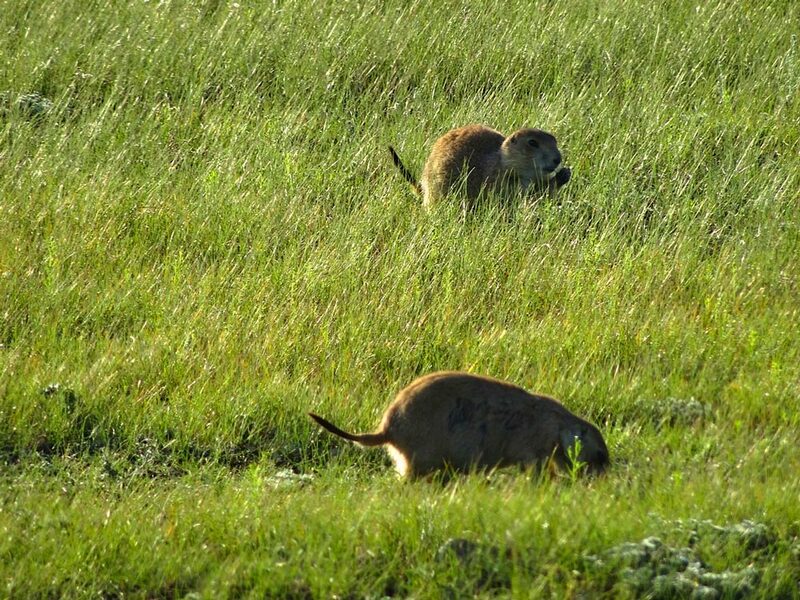 Black-tailed prairie dogs are larger than Richardson’s ground squirrels and have an extensive vocabulary of calls. “I dyed my hair six different colours one summer,” recalled Stephens, “as I tried to figure out which colour was most visible at a distance.” Now researchers have a colour they can spot on prairie dogs at a distance and ten years of field research is revealing what prairie dogs need to maintain sustainable populations. Researchers also want to spark a love of prairie creatures with park visitors. I pulled my truck camper into the park’s Frenchman Valley campground and cooked supper with a stiff breeze blowing mosquitos into the next province. I crawled into bed as lightning and booming thunderclaps sent tent campers scampering for their cars. Prairie landscapes may appear dull at first but as I discovered there was more here than first meets the eye. What’s not to like about Prairie Dogs? As dawn broke, I scrambled into my best prairie-dog observation outfit and waited for Stephens to lead me deeper into the park and the world of prairie dogs. Prairie dogs are very social animals and live in large colonies. Some people confuse prairie dogs with their smaller cousins the Richardson’s ground squirrel (sometimes called the gopher and other less flattering names). But this large member of the squirrel family is a species at risk in Canada and only found in southwest Saskatchewan. I heard a sample of this vocabulary first-hand after we released a prairie dog we had captured. When the pillowcase holding the prairie dog was opened a round ball of golden fur shot across the prairie. It stopped just short of its burrow to turn and scold us vigorously. I’m pretty sure I had been told off by one kilogram of angry ground squirrel! 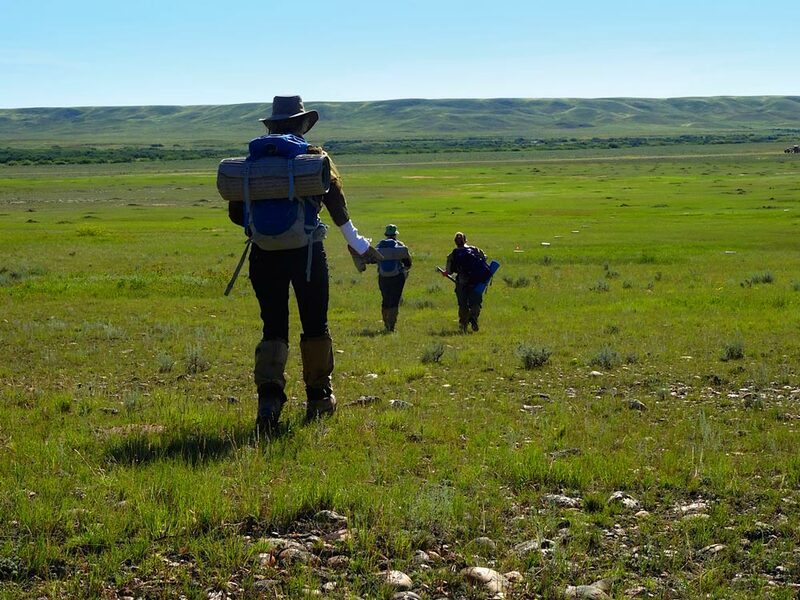 Voluntourists help scientists monitor prairie dog populations. It’s hard not to anthropomorphize prairie dogs. They live in family groups that congregate into colonies we call towns, and they trim the plants around their burrows to keep their neighborhood neat. Sometimes they greet each other by placing their paws on each other’s shoulders and when they touched their front teeth together in something that looked to me like a squirrel kiss, I almost sighed. In addition to being cute, prairie dogs are an important part of the ecosystem. They dig holes with the enthusiasm of an army corps engineer and their abandoned burrows provide homes for burrowing owls and other animals that need underground shelter. Prairie dogs are also dinner. Hawks, fox, rattlesnakes, badgers, and coyotes will eat prairie dogs given the chance. 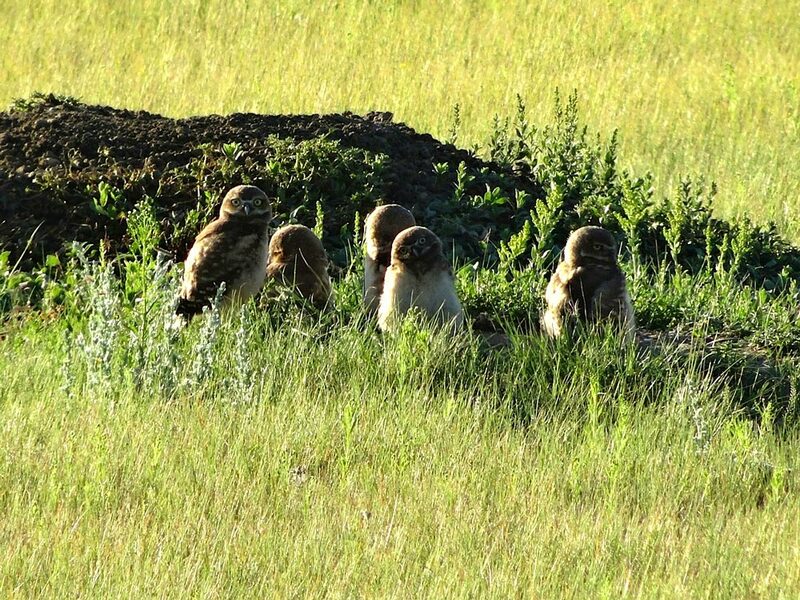 Burrowing owls nest in abandoned prairie dog burrows. The black-footed ferret – another species at risk – dines almost exclusively on prairie dogs, slipping into burrows at night to feast. Black-footed ferrets have had a particularly rough time of it since Europeans settled the west; ferrets were last seen in Canada in 1937. Now Parks Canada, the Calgary Zoo, and their partners are working to reintroduce black-footed ferrets into Grasslands National Park. Remnant teepee rings and artifacts suggest Plains Indians lived in this area. “So what’s correct number of prairie dogs?” I asked Stephens as we sat on a hill for two hours waiting for prairie dog captures. It seems no one knows, which is why research carried out by people like the Calgary Zoo’s crew of field biologists and Parks Canada staff is so important. They are learning more about the natural population cycles of prairie dogs and diseases like plaque that can decimate prairie dog towns. We captured only one prairie dog on my watch but it was healthy and its weight and size went into the database. I may not have made a major contribution to science but my time in Grasslands National Park made a major impression on me. The openness of the landscape and the lack of people made the inter-connectedness of creatures here easy to see. As I drove away I swore I heard prairie dogs whispering on the wind. 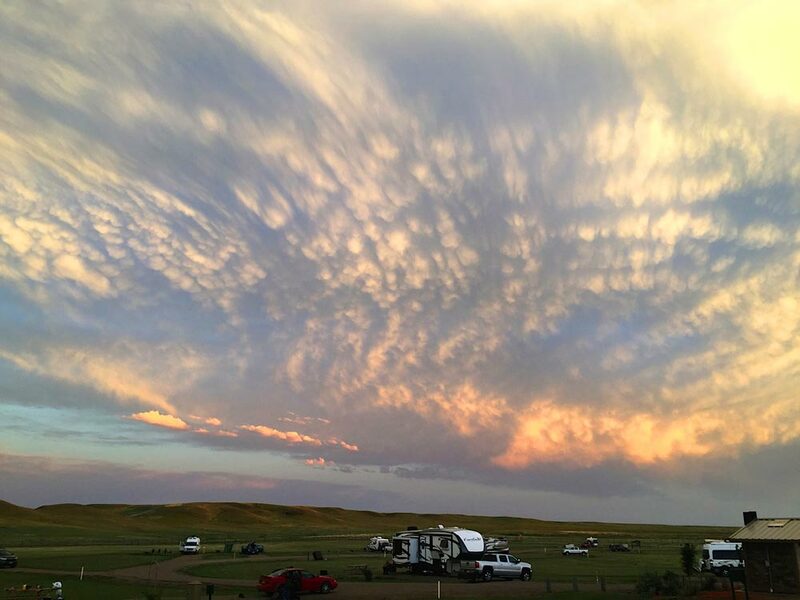 Grasslands National Park has two campgrounds for visitors. Grazing by bison helps maintain a health ecosystem. Grasslands National Park is the only national park to protect the mixed-grass prairie ecosystem. Plains bison were reintroduced to Grasslands National Park in 2005 after 120 year absence. The common nighthawk is neither a hawk or nocturnal but is a rare sight for birders. 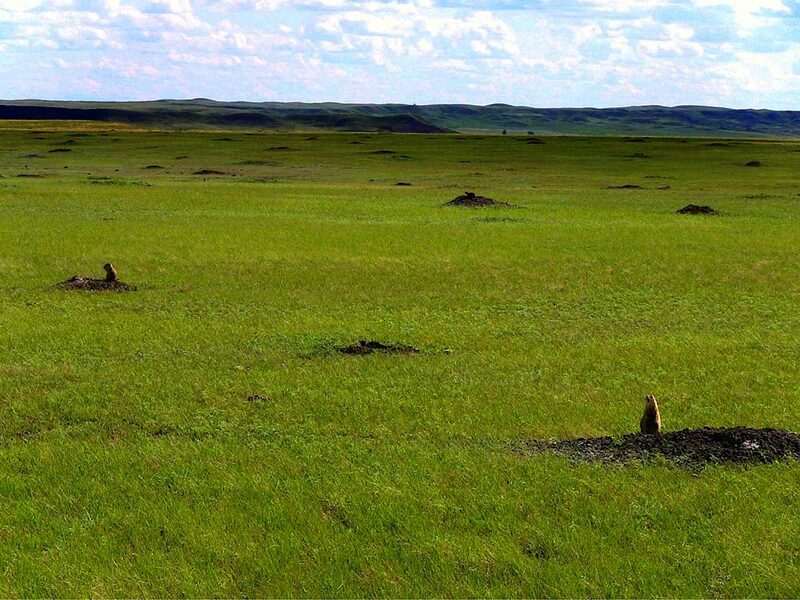 Snake guards, bug shields, and gloves protect researchers from natural hazards in Grasslands National Park. Gasoline is limited in the region so fill your tank before heading into the park. 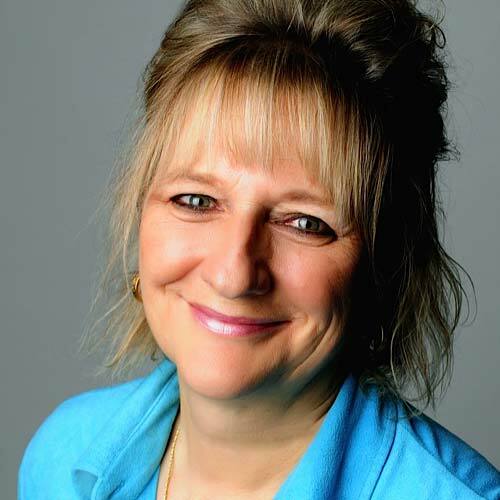 Interesting read! Cute little guys those prairie dogs. Val Marie is near where my grandma grew up.